^ 1.0 1.1 Population number, its changes and density. Central Statistical Bureau of Latvia. [2019-01-26] （英语）. ^ 2.0 2.1 2.2 2.3 Latvia. World Economic Outlook Database. International Monetary Fund (IMF). April 2016 [2016-06-10]. ^ Composition of macro geographical (continental) regions, geographical sub-regions, and selected economic and other groupings. United Nations. [2008-11-09] （英语）. ^ 6.0 6.1 Latvia in Brief. Latvian Institute. 2011 [2011-11-05] （英语）. ^ Weather information in Latvia. travelsignposts.com. 2015-03-14 [2015-03-14] （英语）. ^ Administrative divisions of Latvia. www.ambermarks.com. 2015 [2015-03-14] （英语）. 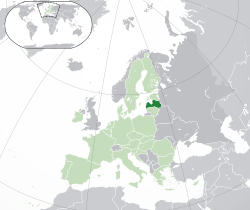 ^ Latvia – Country Profile: Human Development Indicators. hdr.undp.org. United Nations. [2015-12-15] （英语）. 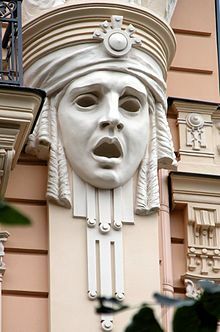 ^ Latvia. World Bank. [2013-07-15] （英语）. ^ EU and euro. Bank of Latvia. [2013-07-16]. （原始内容存档于2013-04-25） （英语）. ^ Data: 3000 BC to 1500 BC. The European Ethnohistory Database. The Ethnohistory Project. [2006-08-06]. （原始内容存档于2006-06-22）. ^ Data: Latvia. Kingdoms of Northern Europe – Latvia. The History Files. ^ 15.0 15.1 15.2 15.3 Latvian History, Lonely Planet. Lonelyplanet.com. [2010-10-16]. ^ The Crusaders. City Paper. 2006-03-22 [2007-07-28]. ^ Citizens of a non-existent state[永久失效連結], P. 17, 2014年5月14日查閱.